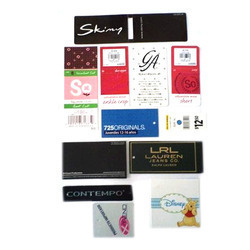 Advertising Tags is perfect for displaying your brand name. It is made of superior quality material. We offer clients a wide range of promotional dangler printing options to choose from. These are printed using multi color offset printing process to provide in them smooth, flawless and attractive finish. Our wide range of danglers is used for advertising products or brands in the market. Printed on art card, these multicolored danglers are printed on both sides as they are usually hanged with the help of thread or strings. They are hanged in important places to increase their chances of visibility to maximum end users. Special mechanisms to perform watchdog tracking without the risk of sabotage can be achieved with our innovative tamperproof tags. These come in various size, shape and form factors. These add-on features are highly affordable and bring deep value to the project. Our clients can avail from us a quality approved array of Advertising Tags the Advertising Tags we offer is widely demanded amongst the clients for its availability in various sizes and designs. 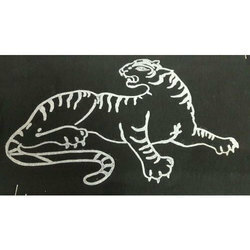 These products are made by using quality material. Mosco Prints India Pvt. Ltd.